Marina Sarabia and Kathleen Costanzo have been providing comprehensive Real Estate services to buyers, sellers and developers for over 25 years. When buying or selling a home or an investment property the decision is NOT easy! Who to call and trust to help you with this stressful process it's something to carefully think and consider. You need to ask a lot of questions -you need a trouble shooter and a problem solver ... It is important to have confidence in your real estate professional. Our main commitment to you, as your Realtors, is to provide you with a "customized" plan for your specific needs. Marina and Kathleen are Keller Williams Realty Professionals Realtors in Fort Lauderdale, experienced in multiple markets. Marina Sarabia and Kathleen Costanzo sell the Broward county real estate communities of Fort Lauderdale, Pompano Beach, Lauderdale By The Sea, Oakland Park, and Wilton Manors among other Broward County areas. We had worked with developers from beginning to end. We handle short sales and REO’s. The end user -buyer and sellers- have been our main source of business throughout the years and the repeat costumers and referral we get from our established buyers and sellers are the best testimonial we can offer to you. Previous to our Florida 15 years of high octane Florida real estate careers, we had 10 years of real estate experience in California. Always be the most honest, ethical, and hardest working agents that we can possibly be. Represent our customer's best interests 100% of the time. We take pride in customer satisfaction and have numerous letters to prove it. We provide the highest level of services possible throughout the entire buying or selling transaction. Our day will never end if these commitments haven't been met! Consistent outstanding production members every single year. "My husband and I were looking to buy a condo in the Fort Lauderdale area so that my daughter who lives in that area will no longer have to pay rent. I found Kathleen Costanzo online and started a phone and online conversation. She immediately made me feel comfortable. Upon meeting Kathleen she was able to hone in on what we were looking for. My 20 year old daughter was going to live there and she made Laura feel important in the process. Kathleen found us a condo within 2 weeks and closed in 30 days. Despite some challenges with the seller and the sellers realtor Kathleen was in constant communication with us. Thank you Kathleen. You make your job look easy when I know you work hard. Sincerely The Paradis Family"
"Marina & Kathleen were incredibly professional. This is my third transaction with them. They helped to negotiate an amazing purchase price. They were knowledgeable about the property and its value. They have supplied me with many people to help with the renovations. We would not hesitate to use them for another purchase." 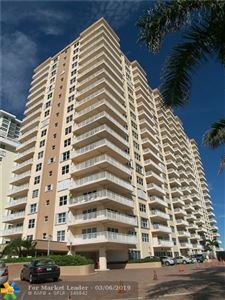 "Professional, Personable & Accessable I wanted to purchase a condo in Pompano for an investment. Driving around I call several realtors from there signs out in of the properties. Kathleen was the only person to call me back and it was on a Sunday. She was able to accommodate my not so easy schedule. Kathleen was such a huge help from the first showing to the closing table. She helped with everything from recommending a funding group to an inspector for home inspection. Kathleen was always right there to answer a question or to make sure the inspection, appraisal were on track. I would highly reccomend Kathleen and her team to anyone who is in the market. It will be the easiest most pleasant experience you will ever have. Kathleen....you will be seeing me again. " "100% recommended, great customer service and a lot knowledge. Marina was always there if I have any question about the buying process the process. She returned every single e-mail, call, or text and She made every step clear and easy to understand. As a first buyer I had to many question and fears but She really knows what she is doing and gave us confident. Thanks Marina for this great experience "
"Kathleen Costanzo is a very professional real state agent. We appreciate her efficiency and knowledge, she was able to keep us informed about everything and answered our questions, because her we ended in a very satisfactory selling experience. We are more than happy to always recommend her. 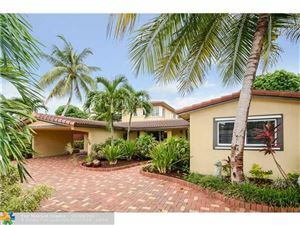 Sincerely, Pedro & Lourdes "
"Marina & Kathleen did great job on the sale of my house. Thanks "
"Marina took some great photos and videos for us which enabled us to buy our property unseen and both Marina and Kathleen were always available to help and answer any questions. " "Kathleen and Marina are true experts and professionals. We told them what we wanted and they delivered immediately. We took the first condo they showed us because it was perfect. They also helped us expedite all of the paperwork very quickly because we we're up against a very tight deadline. It all worked out perfectly because we worked with them!" "Kathleen and Marina helped our family move to Pompano Beach in 2003. Our move was challenging because we have a disabled child, and the move needed to happen very quickly and smoothly in order to provide the level of care our son needs. They not only made it happen flawlessly, but they made it happen in 10 days in spite of multiple challenges related to the seller of the property we chose. Now, 13 years later, Kathleen has done it again by helping us find the perfect condo to meet our son's unique needs. If you are looking for a buyer's agent who truly has the best interest of her clients in mind, look no further. Kathleen and Marina are, quite simply, the best you could ask for. Luke W."
"These two women are professionals that go above and beyond to help you find exactly what you are looking for. They are the best to work with and always have your interests first and foremost." "I accepted a job in Florida and was on a 60 day timeframe to relocate. I didn't want to rent and truly wanted to find a home to live in. I had several obstacles preventing me from being 100% available to search for homes...my job requires me to work 12-13 hr. days, and my weekends were spent in TX packing up my current residence. In addition, I was new to Florida and wasn't sure what areas I wanted to live in, causing a lot of home searching. I was introduced to Marina from my realtor in Texas (Israel Flores). Marina accepted this challenge, and worked with all the obstacles to ensure that I found a home that would accommodate my needs. Marina was very professional, knowledgeable, and had my best interest at hand. She worked countless hours searching for places, doing a walk through with a video recording, when I was unable to get off work to view the home. She learned my style quickly and she sent me homes that she felt I would be interested in. She also setup last minute appointments"
"I started working with Kathleen after looking for almost 2 years and engaging 3 realtors, with no success. Kathleen understands the ins and outs of the Florida real estate market, which is much different from anything I have experienced in other states where I have purchased property. She is extremely responsive and intuitive as it relates to what her clients are looking for, and she is always on top of any challenge that might pop up during the purchasing process. She has also referred me to an excellent Mortgage broker who has been able to obtain financing despite the fact that I did not have the full 25% downpayment that is required for a condo purchase in Florida, and despite having had a short sale in the past. Kathleen has made the entire process so much smoother than any of the other realtors I have worked with. Nobody comes even close." "Kathleen and Marina help these first time home buyers in finding the perfect property for us! They took the pain out of what could be a very stressful decision in life. Kathleen talked me down off a few ledges, and has become a great resource of information and guidance. Thank you both!" "Marina helped a client of mine that was moving to the Ft. Lauderdale area and did a great job! Whenever I refer a client to another Realtor I want to make sure they are taken care of and Marina did just that offering great professional service. I will continue to send Marina any clients that are looking in the Florida, Ft. Lauderdale area. Thanks!" "We were a bit nervous when buying our first house because of the horror stories we heard from friends and colleagues because of the lengthy and painful process. Marina and Kathleen debunked all of these fears and made our process seamless and pleasurable. They did their due diligence to make sure everything was in order thru the whole process. Their attention to detail, willingness and the overall experience was positive. We will trust them for any future home buying/selling needs. " "Great sales team. I appreciate all your help with my client referrals. I look forward to meeting the both of you on your visit to Tampa. " "Marina and Kathleen are the most professional and personable realtors I have ever dealt with. Their attention to detail and quick responses to issues allowed me to sell and coordinate the closings of two condos at the same time. Both Marina and Kathleen are worth their weight in gold." "Dear Kathleen and Marina, Just a few words to let you know what a wonderful job you both did selling my Condo in Hollywood. Since I was all the way out in California, I had some real trepidations at first about the sale. Within the first week I realized that I had no reason to worry. You answered all of my questions and you were always there for me. Your knowledge of this area made this transaction easy, pleasant and trouble free. I thank you both for making this transaction a breeze. Lets stay in touch, Best Regards, Louise K.Garside "
"Great work ethic and professionalism. She will get the job done. Thanks!" "Marina and Kathleen, what a great team. The first time we met was 12 years ago when we purchased our first property. Now we decided to sell and called them up and they didn't disappoint. Things went smoothly and quick, and we received a fair price for our property. They are honest and direct and had our best interest all the time. Thanks Marina and Kathleen!" "We cannot recommend Kathleen and Marina highly enough! They both patiently showed us properties in Aventura. They both have a unique and specialized knowledge of the area and they share their knowledge with a very confident and common sense approach. There are many fine realtors in town, but these two are in a league of their own. When it comes to knowledge, integrity and patience, I highly recommend Kathleen and Marina. " "This team is professional, tireless and smart. We purchased our home years ago with their assistance and I chose to work with them again when it was time to sell. With urgings from family and neighbors I listed the home at a higher price than recommended by Kathleen and Marina. They obliged but told me what the house would actually bring. They know their stuff, as they were right on the nose. Tireless in their efforts to track down needed documents from a somewhat difficult HOA, they handled everything with command and handled worries so I wouldn't have to. I highly recommend this team of realtors and thank them for all their efforts on my behalf." "Marina and Kathleen worked very hard to make a difficult process run smooth and efficiently. They are extremely knowledgeable in their market and go to great lengths to satisfy their clientele. If you are looking for a realtor in this market - look no further, you've found your team!" "What a great experiece!!! Thank you so much for helping us find our perfect vacation home in Fort Lauderdale! Our appreciation is heartfelt and is difficult to put into words. It was such a pleasant and enjoyable process to find our dream vacation home. Marina and Kathleen guided us always into the right direction with lots of professionalism, good heart and humor. Also after closing they followed up with us and even helped us find the great contractors for renovations! Our expectiations have been exceeded by far! We highly recommend Kathleen and Marina for any real estate matter. Thanks again you wonderful ladies! " "I am a resident of New Jersey and inherited a lovely condominium in Lighthouse Point, FL... since I was dealing from afar it was important to me that someone who was responsive and attentive handle this sale for me. Kathleen Costanzo listed and sold the property within approximately a month's time. Knowing that I was a distance away in New Jersey, Kathleen offered to help me in any way she could. Her effort was above-and-beyond what I would have expected from a realtor. I am glad I selected Kathleen to represent me as as she constantly kept me informed and guided me every step of the way... things went smoothly, the sale was quick, and I received a very fair price for the property .... three cheers for Kathleen !" "Very professional and knowledgable. Would recommend to anyone looking to buy property and needs honest opinions for investment." "Kathleen and Marina helped me find and buy the perfect place in only 5 days. They worked around the clock showing me condos and educating me about the local real estate market. I also work with them to find tenants for my rental property because I know I can rely on their integrity, responsiveness, and experience. " "Assisted me in purchasing a property in a satisfactory manner"
"Kathleen helped us find the perfect condo in Ft. Lauderdale. She listened to our needs and wants and knew where to direct us as far as location, amenities, and the right building. Her years of experience and knowledge of the area were invaluable. We are privileged to now call her a friend!" "Kathleen & Marina are amazing professionals who know their industry inside out. We live in Europe so time zones are not easy yet we have never felt these zones have got in our way as Kathleen has and still is always available. We met these 2 wonderful ladies for the first time last summer when we decided that we wanted to invest in property in the USA. They have had the most amazing patience with us and 2 subsequent visits later to the area we are now the proud owners of a great condo. Kathleen has held our hands throughout this process which is so alien to us Europeans and has always made herself available to help us with all the paperwork that needs to be done as well as recommending lawyers, contractors etc. We couldn't and wouldn't have gone ahead with buying a property in Florida without the honesty and expertise of Kathleen and Marina. We are now looking to rent this wonderful condo and we are sure that the girls will work their magic once again! " "Marina & Kathleen assisted me and my family in both the buying and selling experience. They are amazing professionals, very knowledgeable of the industry and the trends and most of all; trustworthy. They take your wants and needs very seriously and they get the job done fast and diligently. " "We highly recommend the team of Kathleen and Marina. This Professional and diligent team help us to find our new home. We have purchase four other homes in the pass throughout the country (East to West) and would gladly give this team a high rating." "Marina worked hard to get me the place I wanted"
"These two ladies sold almost $5,000,000.00 in property for me without a single problem ! They are OUTSTANDING ! " "I am from Montreal and a client of Marina and Kathleen. They are both professals and highly recommend both. I have recommended several Canadian buyers and were extremely happy with the service they both provide. Thanks Mike Carlino Montreal Canada"
"They are professional and thorough"
"Worked well with us. Explained everything clearly and was always available to answer questions- even months after the sale." "Both Kathleen and Marina are professionals and dealing with them is like dealing with close friends. They take their work to another level with their strong expertise and advice!" " Marina and Kathleen made me, as a client, feel comfortable and relaxed from day one right on through to the sale of the house. They are so pleasant and professional. I would recommend them to anyone who is selling and/or buying a home. They are exceptional and an effective team that get the job done! " "The best realtors I ever worked with." "They found me my apartment with all the requirements I specified at the price I had bracketed in my first day of looking." "Marina and Kathleen are the best in the business! They are professional, responsive, and are both extremely knowledgable. They worked tirelessly to help us into our dream home and my wife and I will be clients for life!" "Because Marina and her Office made the selling of our condo at Sea Air Towers much easier and fast. she is very professional and knows the needs of us as sellers. If for any reason you need to sale your house or condo, call Marina and Kathleen, you will have the best experience and service. They take your business as personal and treat you with the best service according to your needs. Thanks guys!! MK." "They were extremely professional, kept me in the loop every step of the way, and did the job of selling my property. Who could ask for more?" "Very professional hard workers.Great to work with, always awnser the phone Sally"
"I have had the privilege and pleasure of knowing and doing business with Marina and Kathleen for over 5 years. Their business ethics, professionalism and personal integrity are beyond reproach. I would not hesitate to use them as my personal REALTORS and my family as I know my best interest would always be first in their priority list. Evelyn J. De Ceasare, REALTOR GRI, E-Pro, TRC"
"I would like to recommend Marina Sarabia and Kathleen Costanzo because THEY GET THE JOB DONE IN A PROFESSIONAL, SOPHISTICATED MANNER WITH HONESTY AND INTEGRITY." "Very profeesional, very supportive and very nice and frienly agents! We felt extremly well guided through the whole process from the searching starting point until the end - with the closing and purchase of our wonderful condo. Kathleen and Marina did' t miss to answer any of our questions and they work with high professional quality. We can strongly recommend them and would work with them any time again."